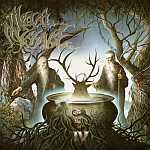 A compilation for fans of Pagan-, Viking-, Folk Metal! Limited to 1000 copies! 2. FOREFATHER (UK) ""Engla Tocyme""